A VERY HAPPY CHRISTMAS TO YOU ALL!. 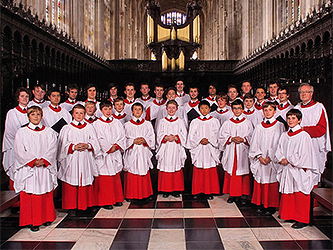 In celebration of today, and continuing the tradition started here on 5:4 last year, here are highlights from the Festival of Nine Lessons and Carols that took place yesterday at King’s College, Cambridge; the recording is of today’s repeat broadcast, which includes both of the final organ voluntaries. This year particular homage was paid to Sir David Willcocks, who turns 90 this month, with numerous settings and arrangements of his included in the service. Near the start, a beautifully light and playful rendition of Ding! Dong! Merrily on high, splendidly arranged by the American Mack Wilberg; the ending has a distinct glint in its eye. Peter Maxwell Davies‘ One star, at last was commissioned for the service 25 years ago, and returns sounding as fresh as ever. Max’s rendering of George Mackay Brown’s words is deeply thoughtful, tapping into both the awe and mystery as well as the more ominous elements at its heart; the question “What hand / Will take the branch from the dove’s beak?” is arguably more pertinent today than at the time of this carol’s prèmiere. The Swede Jan Sandström (who famously studied with, among others, Brian Ferneyhough) is represented here in a hypnotic setting of the traditional German carol Es ist ein Ros entsprungen, sung here in Sandström’s native tongue; Prætorius’ original music is turned into clouds of notes shifting in space, finally coalescing into words—it’s a mesmerising performance. The tradition of commissioning a new carol each year continues in 2009, with the renowned choral composer Gabriel Jackson chosen this year. His carol, The Christ Child lay on Mary’s lap uses an interesting text by G. K. Chesterton, alternating external observations with parenthetical reflections. Jackson picks up the contrast (each parenthesis ending in soft humming), but placing it within a gradually intensifying context, with the key words “light”, “star”, “fire” and “crown” given especial emphasis; it’s a very successful setting, although the ending feels a little laboured, perhaps even forced (from the composer, not the choir). At the end, the pair of voluntaries combined ancient and modern, the second of which was American George Baker‘s happy, wildly twittering Toccata-Gigue on The Sussex Carol. There’s more emphasis on familiarity this year, for the most part due to the celebration of Sir David Willcocks; but that sense of familiarity simply proves just how significant Willcocks’ contribution to choral (particularly Christmas) music has been, in no small part thanks to his seminal Carols for Choirs volumes dating from the early 1960s. The inclusion of Maxwell Davies, Sandström and Baker underline King’s College’s continuing interest in less conventional choral repertoire; on balance, while this year’s service takes few risks, it’s lively and highly engaging. Like last year, along with the audio is a PDF of the complete order of service, including all texts and translations; below is a summary of the music. MERRY CHRISTMAS! !